Armagnac of a beautiful mahogany color, bright and clear. Nose under the sign of freshness with a nice undergrowth and spicy nuances or some iodine marine notes. 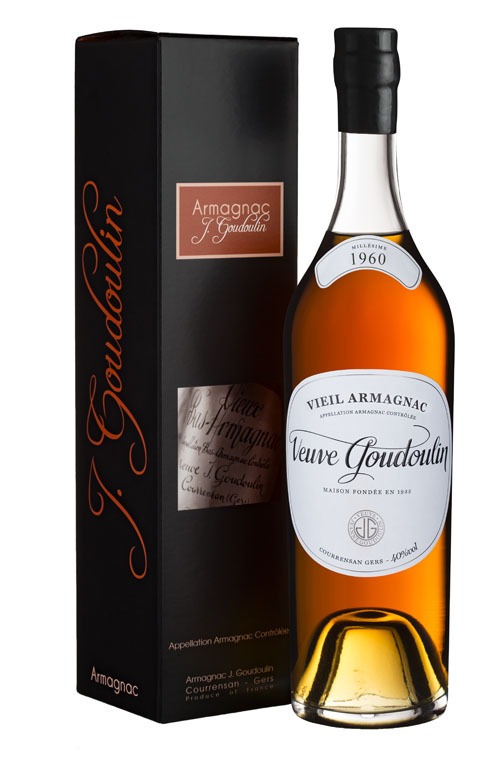 The palate is more manly with a beautiful wooded as well as animal and pepper spikes, wild and warm finish gives this eau-de-vie all its amplitude.A fresh, fruity and harmonius Armagnac. Light gold color. Nose : wood note of vanila, peach and lime blossom.